Dowsil EI-1184 is a new fast curing, high transparency, high weatherability, two component silicone encapsulant. This advance material is suitable for encapsulating rigid and flexible circuit boards and for the protection of outdoor LED lighting applications. It offers reduced yellowing for longer device lifetime, room temperature or heat curing and it meets the industry standards of UL F1, UL 94, UL 746 C and RTI 150°C. Dowsil EI-1184 Encapsulant has a mixed viscosity of 5300 cP and a specific gravity of 1.04. Elongation is 55% and the tensile strength is 1375 psi. Dow EI-1184 is a polydimethylsiloxane elastomer that will offer high transparency for improved efficiency. Mix ratio of the two components is 1:1. Working time at 25 degrees Celsius will be approximately 24 minutes. At 25 degrees Celsius, cure time is 4 hours, and at 50 degrees Celsius, cure time will be 70 minutes. Cure time is purely dependent on the temperature. Cure times here are based on a thickness of 4 mm of material. The silicone encapsulant can be applied by automated metered mixing and dispensing or by manual meter mixing. In applications requiring adhesion, priming will be required. Once cured, Dowsil EI-1184 will have a dielectric strength of 500 volts/mil and a volume resistivity of 3.50E+16 ohm*cm. This encapsulant requires no post cure and can be placed in service immediately following the cure schedule. Cure reaction will begin once the two components are mixed together. This will be evident when the viscos ity of the product will gradually increase. Reading and understanding the Dowsil EI-1184 MSDS is strongly recommended before handling the material. Silicone elastomers will be operational over a temperature range of -45 to 200 degrees Celsius for extended periods of time. Higher and lower temperatures may change the behavior of the material and the performance in particular applications. Thermal cycling conditions at -55 degrees Celsius is possible but the performance should be verified for parts of them assembly. The expiration date will be clearly marked on the products label. For more information, contact Krayden and a certified Technical Representative will assist you with any questions that you may have. Dow is an innovator of high end adhesives, sealants and specialty chemicals for a wide range of industries including electronics, transportation, healthcare and much more. They spend large portion of their time researching and developing silicone to formulate the exact product for your applications needs. 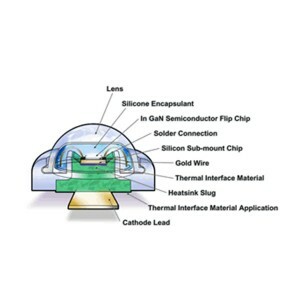 Dowsil EI-1184 is a two component, fast curing, high transparency silicone encapsulant designed for encapsulating rigid and flexible circuit boards for indoor and outdoor LED applications. For more information on the sizing, or proper handling precautions, contact Krayden, a specialized distributor of Dow products. More information can be found on the Dowsil EI-1184 Technical Data Sheet.